Fall 2013 was a big semester for Humboldt State: the university kicked-off its Centennial year with an unforgettable celebration on the Plaza; HSU students, faculty and staff made their mark both on- and off-campus and the university continued to expand its academic offerings with new programs and majors in a variety of disciplines. From student achievements to university milestones, here are some of the highlights of Fall 2013. What better way to kick-off HSU’s Centennial year than with a birthday party? 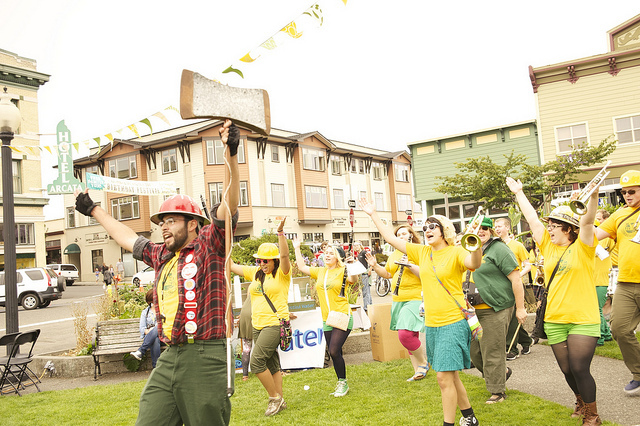 On Aug. 24, thousands of Humboldt State students, alumni and community members celebrated the university’s first 100 years with an afternoon of music, food and games on the Arcata Plaza. To see the full set of Centennial Birthday Party photos, visit Flickr. The Marching Lumberjacks helped get HSU’s Centennial Birthday Party celebration underway. Other Centennial activities this semester included: a throwback parade and fireworks show during Homecoming & Family Weekend and a series of guest lectures and special programs hosted by the College of Natural Resources and Sciences in October and the College of Arts, Humanities and Social Sciences in November. In August, the university took its place among the top seven percent of master’s universities in Washington Monthly’s 2013 College Guide. The university continued its tradition of being named a top western university in U.S. News & World Report’s annual Best College rankings. In November, the Chronicle of Higher Education named HSU a top producer of Fulbright scholars. The university was one of just nine master’s level institutions nationwide to boast three faculty scholars in 2013-14. 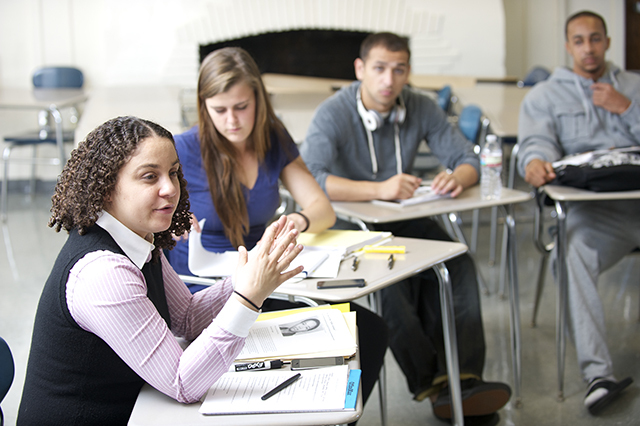 HSU continued to expand its academic offerings in fall 2013, launching a new major in Criminology & Justice Studies. Students receive a foundation in crime and justice while addressing systemic issues such as racial and class inequality and mass imprisonment. Sociology professor Renee Byrd (left) and Meredith Williams were hired by the Department of Sociology to develop the university’s new major in Criminology & Justice Studies. The Department of Kinesiology & Recreation Administration also got a boost this fall when it received a $1.2 million grant from the Department of Education to expand its credential program in adaptive physical education. HSU hit a number of diversity milestones in Fall 2013. Following a semester of booming enrollment and ongoing efforts to bolster campus diversity, Hispanic-Latino/a enrollment reached 26.6 percent, qualifying HSU as a Hispanic-Serving Institution (HSI). As an HSI, Humboldt State is now eligible to apply for funding opportunities through the U.S. Department of Education. The Office of Diversity & Inclusion also released the university’s first Diversity Resource Guide, a comprehensive collection of campus and community resources available to HSU students. In November, the Environmental Protection Agency announced that Jairo Luque Villanueva (’15, Environmental Resources Engineering) was one of just 33 students from around the country to receive a prestigious EPA fellowship that will allow him to continue his research on wastewater treatment in Humboldt Bay. In October, Cara Owings was awarded the Rodney T. Mathews Jr. Scholarship for Native American students. 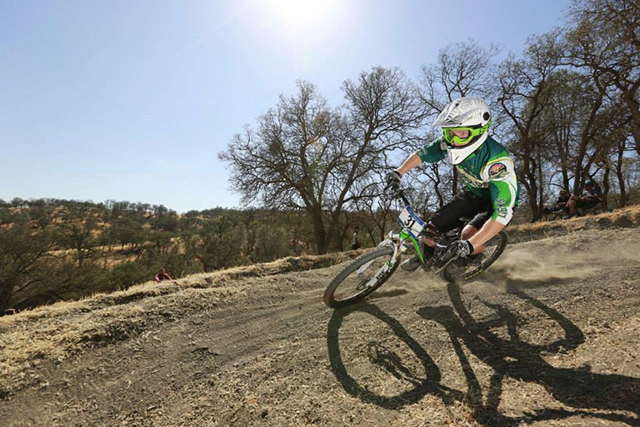 Outside of class, HSU Cycling became the Western Collegiate Cycling Conference Mountain Bike champion, beating all Division I and II teams in overall standings. Derrick Hicks (’13, Business) and Graeme Lock (’17) made HSU history when they won the FLW College Fishing Western Conference Invitational, qualifying them for the 2014 national championship. The semester also saw the implementation of several new sustainability programs. In November, hundreds of leaders from around California converged at HSU for a statewide symposium centered on ecological, economic and social sustainability. 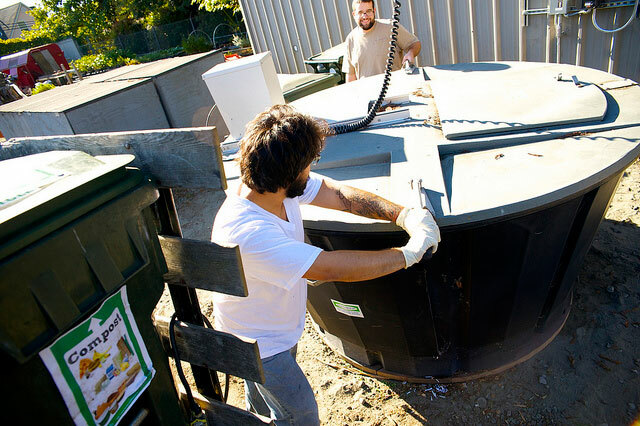 Student composting technicians, Jonathan Wright, foreground, and Chris Johnson, work the mechanical auger in the campus’s new self-contained composter, the Earth Tub. The university also ramped up its food waste diversion efforts with the installation of the Earth Tub, a composting vessel operated by the Waste Reduction and Resource Awareness Program. After nearly 12 years of service to the university, President Rollin Richmond announced he would retire at the end of the 2013-14 school year. Finally, in late September, Rollin Richmond, who has served as HSU’s president for nearly 12 years, announced his retirement following the 2013-14 school year. A presidential search committee, comprised of CSU trustees, HSU faculty, alumni, student and community representatives, held its first public forum on campus to solicit feedback prior to the national search. 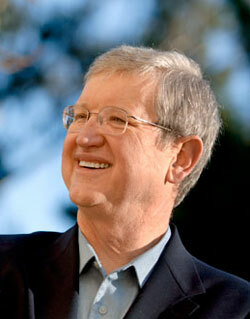 Plans are underway to name HSU’s new president by Spring 2014. Stay up-to-date on all the latest HSU news next semester by visiting HS Now. We also love hearing from our readers. If you see something you think we should cover, please let us know. Send news tips, questions and comments to us here.